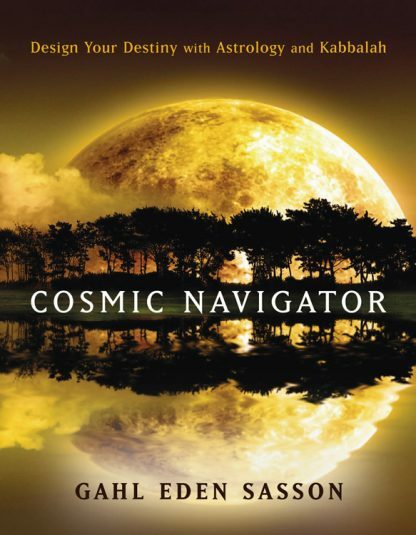 Cosmic Navigator is an entirely new kind of astrology book that combines ageless personality insights with the deeper archetypal wisdom of Kabbalah, providing readers with answers to many of life's most important questions: When will I find my soul mate? How do I get along with my Gemini teenager? Where do I fit in this world? Will I ever be a leader? Am I bound to my astrological fate or can I change it? By marrying the traditional constellations and planets to the mystical lore of Kabbala, Sasson pushes astrology beyond the two-dimensional chart on the page. This thoroughly innovative approach unveils the keys that will allow anyone to access the hidden powers of the twelve signs and use those forces to build a better life, whether they are seeking financial and career opportunities, enhanced intimacy with friends and family, their true love, or drastically improved health. Based on workshops developed and taught by Gahl Sasson over the past decade, Cosmic Navigator affords readers the thrilling opportunity to learn why they are the way they are, and shows them how to use the potent tools supplied by these spiritual traditions to create purpose, serenity, and a life exactly as they'd like it. Gahl Eden Sasson has established a firm platform both as a speaker and as a spiritual consultant. He conducts approximately 30 workshops and lectures each year on astrology and Kabbalah. He teaches regularly in Los Angeles, San Francisco, New York, Boston, Cleveland, Denver, Phoenix, Miami, Chicago, Minneapolis, Sacramento, San Diego, Mexico, England, Turkey, and Israel. He also conducts classes at the University of Judaism in Los Angeles and Tel Aviv University, as well as the Learning Annex nationwide. He has created a new venue for his teachings in yoga centers all over the country as well as in spas and retreat centers. He also has furthered his reach by lecturing on spiritual topics to corporate audiences at MTV and Viacom.